We are at the beginning of what I consider to be one of the most exciting journeys my child is going to travel - he is learning to read. I have always been an avid reader, and my mum tells me as young as 18 months I would sit in the corner looking at picture books whilst my friends played. Once the written words started making sense, I would take a torch to bed to read under the covers, and take an hour getting ready for school as I had a book permanently in my hands. My love continued through an English literature degree and even now, whilst I don't find nearly as much time as I would like, I love to curl up with a good book. I am so excited that Dylan is already showing such enthusiasm. Whilst we have tried never to push him, we have made sure he has the resources and time should it be what interests him, and he has proven that he does want to learn. As we progressed from letters and sounds to small words, we have wondered about the next step, whether we continue as we are until the school give us a direction, or whether we continue providing the resources for him to learn at his own pace, whatever he decides that to be. Whilst never having read this set, I have heard of them, and know many schools use this system. Waterstones had a great selection with about 6 different titles from each of the sets, beginning with set 1 for their first reading books. This was what I learnt to read with, and I have rather fond memories. 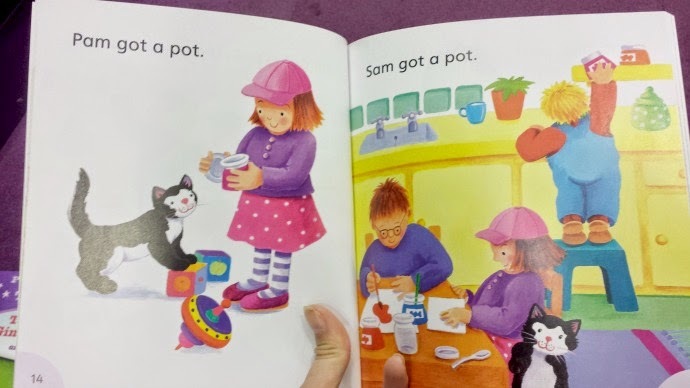 I loved the fact these were classics, but also felt that as times have changed, and learning has moved from letters to phonics, these may not be the best option for my little reader. 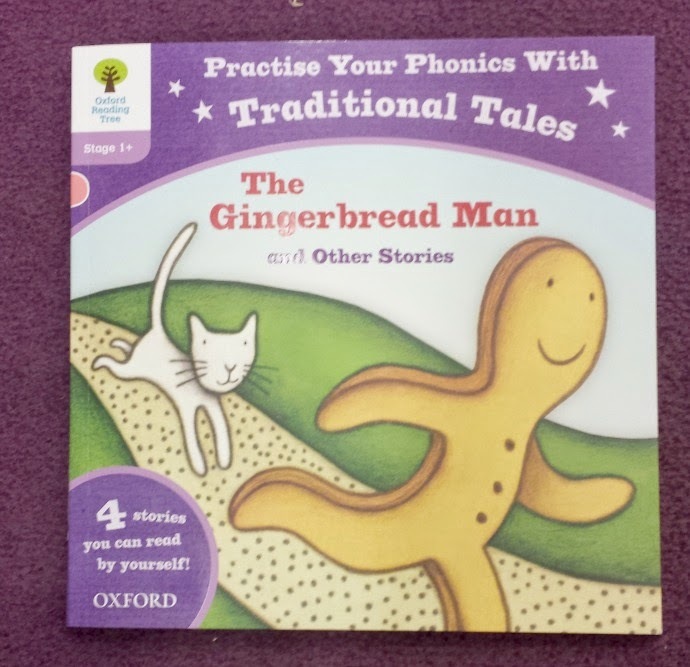 I was drawn to the Gingerbread man on the front as it made the book feel more festive, even though it was only one of 4 stories. These stories were classics and designed with phonics in mind. 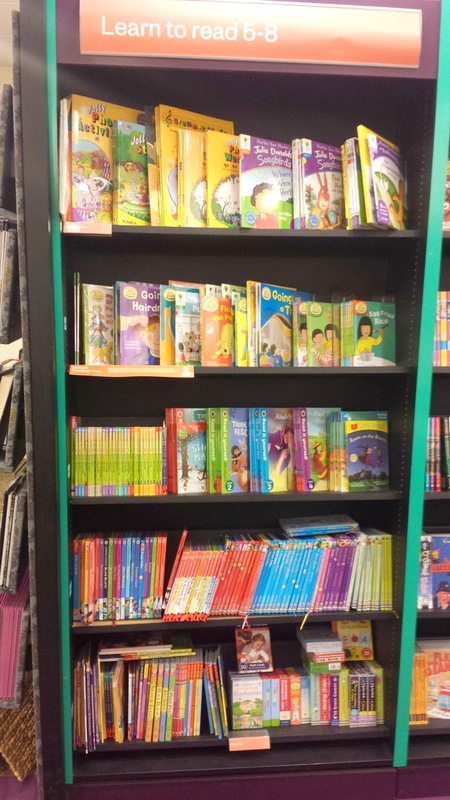 There was a great selection of these books too, with levels from one to seven so that it can grow with your child. 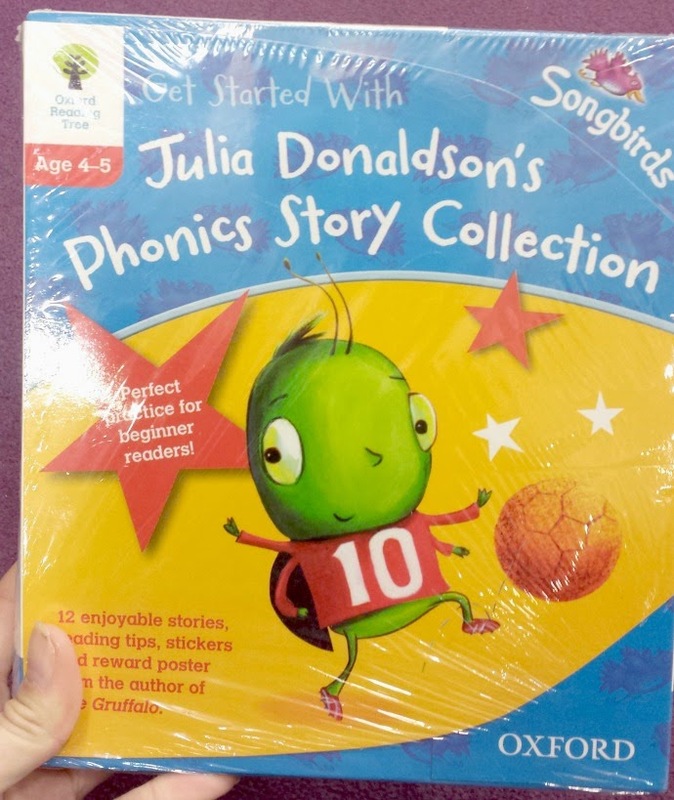 After much deliberation, I spotted a pack hidden at the back which looked perfect for us, with 12 individual songbird stories from Julia Donaldson, along with extra resources and stickers, it seemed the perfect choice for our little guy. There are 6 books from level 1 and six from level 2, so great for beginners, and the stories look fun, repetitive and easily sounded out. What books did you use with early readers and any tips for making learning fun? 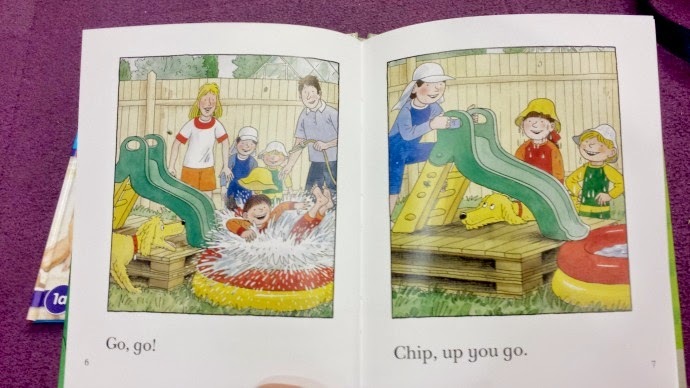 Stay away from Biff Chip and Kipper, by the third time round you will have read so many you will want to cry at them. We have some DC superfriends which are good for boys and the Alphablocks are good too.